I came across this site a few days ago. It maps over 1500 musical genres, giving examples of each. It’s called Every Noise at Once. Click a name to hear an example of what the genre sounds like. Click the » on a genre to see a map of its artists, then if you click the » next to an artist name a Spotify playlist will open to hear more from that artist. Why 1 billion could be at risk for hearing loss. Cut music to ‘an hour a day’ - WHO. The last article focuses on listening to music with a personal music device while wearing headphones. They don’t mean to cut down on listening to music, they mean cut down listening to it while wearing headphones. Please read and pay attention to the above. I want you to get to be my age with your hearing intact and your love of listening to music still going strong. This video has nothing to do with our class but I had to post it! If you’d like to find out more about Morton Subotnick, the creator of creatingmusic.com, here’s his official website and a Wikipedia article on him. His work is discussed in Chapter 10 of our textbook. 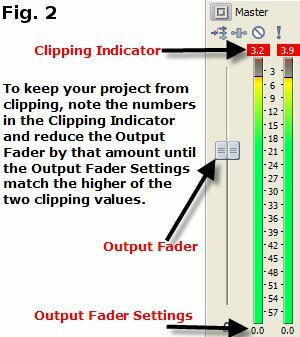 In ACID (and most other digital audio programs) if the numbers above the meters turn red your mix is too loud. Clipping is occurring. 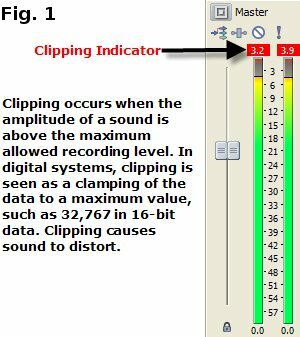 Remember - although you might not hear the sound being distorted, the clipping indicators tell you it’s occurring. Pay attention to them!! 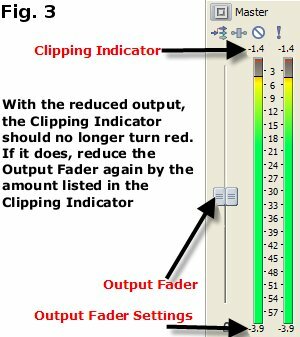 In the world of synthesizers keyboards were at first the least expensive and in many ways the easiest way to implement a full-featured MIDI controller. But, technology progresses and things change. Imagine what the future will bring! As mentioned in class, one of the songs played during the first quiz has an interesting video. So what are File Extensions?